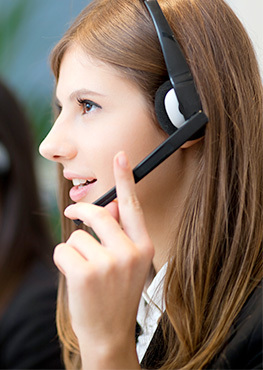 Inbound Call Centre | 8x8, Inc. Improve customer interactions and agent productivity with our powerful, easy-to-use, cloud-based call centre solution. Organizations over the world are discovering the advantages of using 8x8’s call centre software for their inbound call centre operations. With 8x8’s Inbound Call Centre solution, an organization can deploy a full-featured, state-of-the-art inbound call centre quickly, easily and for a fraction of the up-front cost of deploying an on-premises system. All that is needed are the computers and an Internet connection. One of the biggest advantages of implementing a hosted call centre solution is that it eliminates the high cost of investing in new hardware, network infrastructure and software licenses in order to get the latest and most advanced inbound call centre technologies. Because our call centre software is delivered via the Internet, we assume responsibility for all maintenance and upgrades, including integration with leading CRM systems and overall application performance. 8x8 significantly reduces the strain on company’s IT departments. 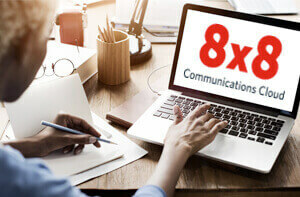 Since it is hosted using a multi-tenant architecture, where customers share server resources, 8x8’s Virtual Contact Centre is highly flexible and can be readily customized to meet just about any business need. Thus it is suitable for inbound call centres in a wide range of verticals and industries, such as retail/e-commerce, financial services, insurance, utilities and internal/external help desks. 8x8 is a leading provider of web-based inbound call centre technologies. 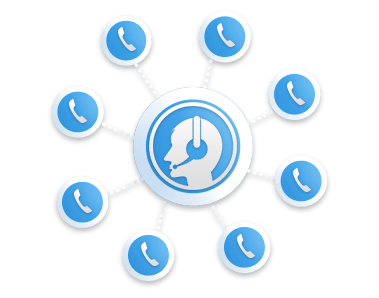 Our Virtual Contact Centre platform offers a suite of core inbound call centre technologies, including ACD with universal queuing for multimedia contacts and skills based routing, IVR with self-serve options and more. What’s more, our patent pending Advanced Virtual Tenant Architecture (AVTA) distinguishes our inbound call centre solution from others on the market in terms of reliability. Step 1 – 8x8 quickly provisions a tenant for your inbound call centre. Unlike other call centre software providers, there are no thin clients or Java-based applications to install. Step 2 – Have your managers attend 8x8’s JumpStart program, which consists of four one-and-a-half hour hands-on sessions. Through these online sessions, your managers will learn how to upload IVR messages, add new agents, establish queues, define call flows and more. Step 3 – Transition your 800 numbers and your inbound call centre agents are ready to receive calls! All they need is a phone, a web browser and an Internet connection.